Sail and cruise with our New Horizon and Pippies tour where you will have the adventure of a lifetime! Enjoy fun water sports such as paddleboards and giant water slide! Try driving on the world's largest sand island and camp among the dunes! 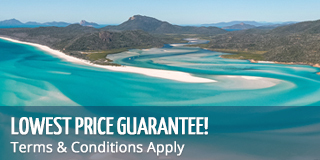 This 5 day, 4 night package gives travellers the chance to explore the Whitsundays and Fraser Island in a whirlwind adventure that will allow you to stay on budget while having the most fun possible! 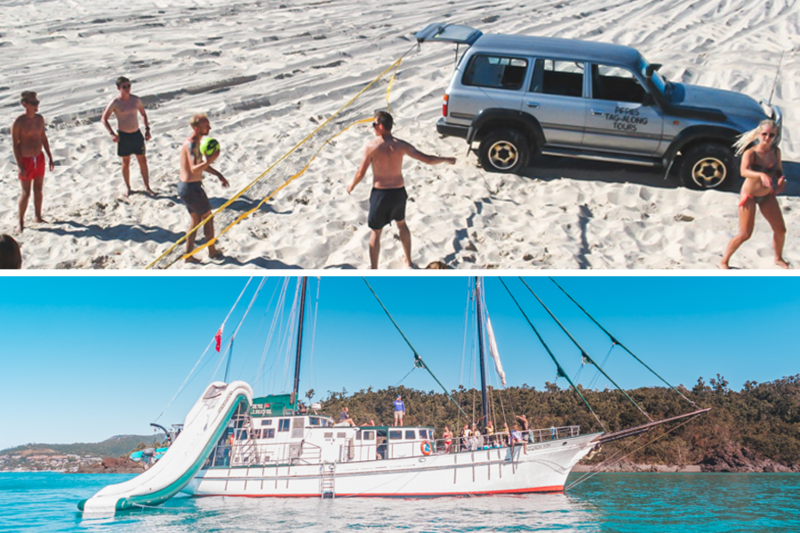 For 2 days, you will get to experience real sailing on board the fun and exciting New Horizon, and for 3 days, you will get to ride around Fraser Island in comfort as you explore one destination after the next! New Horizon is a fun 2 day sailing tour that is designed for the young and young at heart. The lively crew, plentiful water 3 toys, fun extra bonuses such as scuba diving, a waterslide and a diving board, makes this one of the most unforgettable trips in the Whitsundays! New Horizon will take you to some of the best parts of the Whitsundays including Whitehaven Beach, Hill Inlet Lookout and the fringing reefs of the Great Barrier Reef Marine Park. Prepare for adventure and fun with this amazing sailing tour. Jet boat rides and banana boat rides now available! With shared accommodation, 32 like-minded passengers and plenty of fun activities at your finger trips, New Horizon promises to be an unforgettable trip in one of the most memorable places in the world - the amazing and beautiful Whitsunday Islands. Pippies tag along camping safari to Fraser Island is sure to be one of the highlights of your Australia trip. This tour will allow you see Fraser Island at its best - from behind the wheel of your own 4WD! This tour will supply guests with a 4WD vehicle so each travel group can drive around the island independently, following their lead car and travel guide from one unique destination to the next. You will get to spend your evenings camping just metres from the beach at Cathedrals on Fraser. Here you will get to enjoy the nature surroundings of Fraser Island, camping in the wilderness of this untouched island. This tour will ensure you see and experience all the best of Fraser Island with top spots such as Lake Wabby, Indian Head, Central Station and Champagne Pools on the itinerary. Allow yourself to escape into nature with this fun, action-packed 3 day tour to the world's largest sand island!